The White House in Washington, D.C. during 4th of July celebrations. Photo credit: Matthew Straubmuller/Flickr. 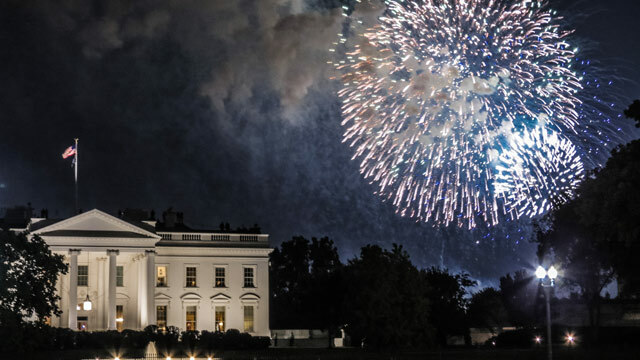 Tomorrow is the 4th of July, and here in Washington DC we’re celebrating our national Independence Day with barbecues, parades, and fireworks. Each year, the federal holiday commemorates the signing of the Declaration of Independence in 1776, marking the birth of a new nation independent from Great Britain. Our city rings in the holiday with the National Independence Day Parade in the late morning and, at night, there is an elaborate fireworks show and a live concert. Cities across the globe often celebrate their own national birthdays with festivities and traditions that highlight the local culture. All of these holidays are united by a common theme: pride in the country’s heritage and history. But there’s more to it than just national pride. Cities play a vital role by providing the space for people to publicly congregate. In order to host the parades, flag ceremonies, and fireworks displays, cities need to invest in quality public spaces. By designing public spaces for the community, we are investing in the culture and pride of our countries, and setting the stage for greater civic engagement. Mexico’s Independence Day is celebrated on the night of September 15th and into the day of the 16th. The holiday dates back to 1810, when Mexico was free from Spanish rule. The holiday kicks off in Mexico City with the President of Mexico ringing the bells of the National Palace, followed by a cry of patriotism to excite the crowds for the day to come. The next day is filled with parades and other celebrations throughout the city commemorating Mexico’s history. Parade procession in Brasilia to commemorate Independence Day. Photo Credit: Daniela Goulart/Flickr. On the 7th of September, Brazil celebrates their independence from Portuguese reign. In 1822, Dom Pedro, son of King Dom João VI of Portugal, officially shifted his loyalty to Brazil, and pledged freedom from Portugal. Much like in the United States, the holiday is celebrated with morning parades, followed by festivals and fireworks at night. The nation’s capital hosts a military parade, attended by the President of Brazil. Outdoor activities continue throughout the day, including concerts, picnics, and festivals. A showcase of national pride on the 60th anniversary of independence near Bangalore. Photo Credit: Sowmya’s Photography/Flickr. In 1947, the Indian Independence Act separated British India into the independent countries of India and Pakistan. To commemorate this act, India celebrates each year on August 15th. 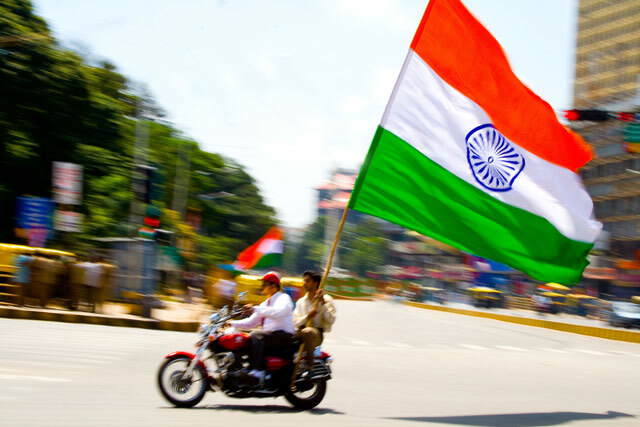 Flags are an integral part of the celebration, and the cities host numerous flag hoisting ceremonies. Costume parties are often held as a way for citizens to show off their pride in the country and its culture. 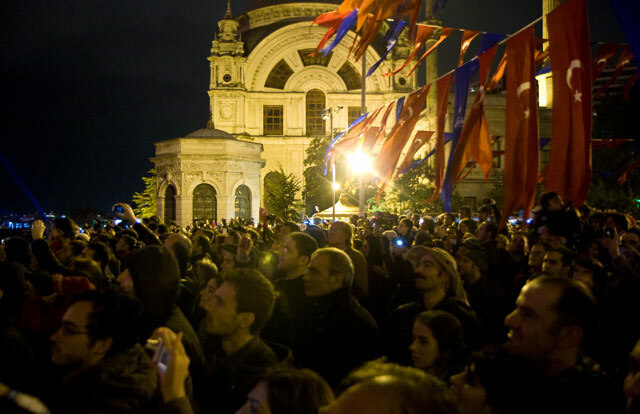 Republic Day celebration in Istanbul in 2010. Photo Credit: Garrett Ziegler/Flickr. Republic Day, held on October 29, honors the day when a new constitution was adopted in Turkey, separating the region from the Ottoman Empire and giving rise to a new country. To celebrate its independence, a variety of performances are held, including theater, poetry readings, and traditional dances. 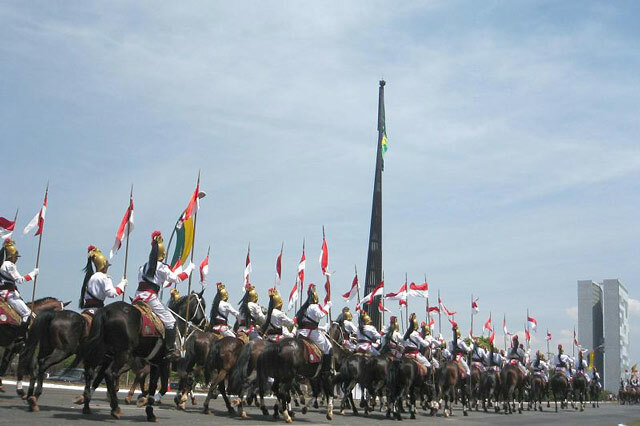 Processions often fill the streets with flag bearers and bands. The day typically closes with fireworks in the city. 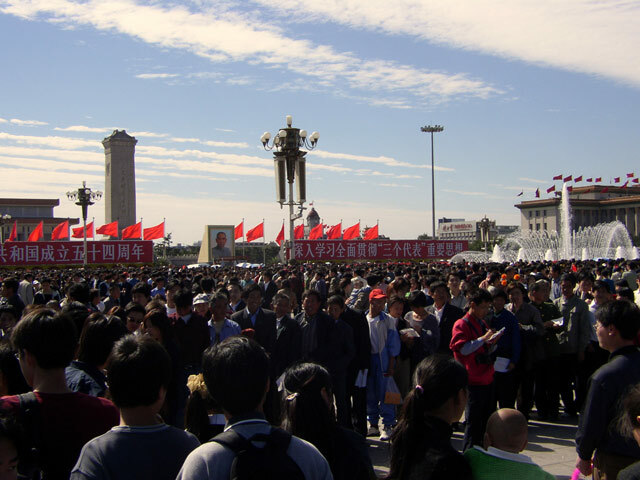 National Day 2003 in Tian’anmen Square, Beijing. Photo Credit: Anna M. Stevenson/Flickr. National Day, celebrated on October 1, marks the founding of the People’s Republic of China. The holiday is celebrated over the course of one week, known as Golden Week. National Day kicks off with a parade in Beijing, followed by the raising of the Chinese flag. Residents hang up red lanterns as a show of happiness and good fortune. National Day Flower Bed festivals are held in squares throughout the country, with Tian’anmen Square in Beijing being known for having the grandest display of flowers. The night ends similar to other independence days, with fireworks for the community to enjoy.